Adine Forman has over 23 years of managerial experience with Los Angeles based social service, workforce development and governmental organizations. 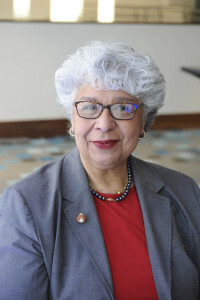 She is currently the Executive Director of the Hospitality Training Academy (HTA), a non-profit institution and a labor-management partnership/Taft-Hartley fund that provides benefits to both employers and the UNITE HERE Local 11 labor union, serving Los Angeles, Orange County and the entire State of Arizona. 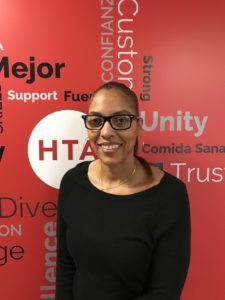 The HTA trains and upgrades the skills of thousands of UNITE HERE Local 11 hospitality and food service workers, who are predominantly women and people of color, and hail from all corners of the planet. 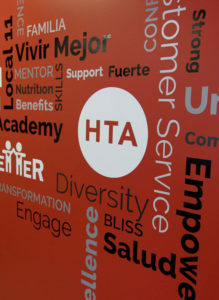 The HTA works not only to up-skill existing employees that are represented by the labor union, but also provides a variety of workforce development, registered apprenticeships, vocational ESL and training programs that are funded by foundations and various government agencies to train low income, marginalized individuals for jobs in the hospitality and food service industries. Prior to the HTA, Adine spent six years as the Director of Government Affairs & Special Projects at a large non-profit and One Stop, negotiating government contracts and working to secure government funding for the organization. Adine also worked for two Los Angeles County Departments as a Program Manager, overseeing $40 million dollars in government grants, with a staff of 40. Adine currently serves on the Los Angeles City Workforce Development Board (WDB) and the City of Santa Monica’s Cradle to Career Initiative. Adine is a lawyer, and has a J.D. from Loyola Law School, and a B.A. in Political Science from the University of Arizona. Magdalena “Maggie” Mireles has over 40 years experience in the operations and management of adult training programs within public and private sector environments in Los Angeles and Ventura Counties. Maggie Mireles is currently the Director of Operations for the Los Angeles Hospitality Training Academy (HTA). Prior to the HTA, Maggie spent 16 years working for Los Angeles County Department of Community and Senior Services (CSS) as the Workforce Operations Manager of the third largest workforce training system in the United States, which provides employment and training services at 20 One-Stop Career Centers Countywide for thousands of County residents annually. Maggie’s career highlights include federal financial aid officer for educational institutions governed under the U.S. Department of Education, planning and implementation of multi-million dollar U.S. Department of Labor Adult, Dislocated Worker, and Youth workforce programs, instructional design for new hire and incumbent worker training programs, utilizing State Employment Training Panel funds, for businesses representing sectors such as Aerospace, Finance, Manufacturing, Healthcare, and Grocery Retail Services. Maggie has a BA in History and Education minor from UCLA. 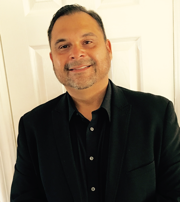 Jorge Galvez has over 22 years of experience in the operations and administration of Employment and Training programs governed under JTPA, WIA, and WIOA. Through his years of experience, Jorge has managed over $100 million in public funds. 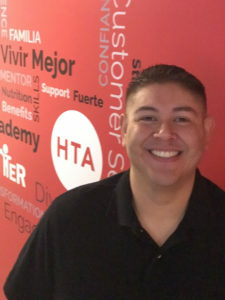 Prior to the HTA, Jorge spent 22 years working as the Financial Manager for Hub Cities Consortium; one of the largest WorkSource Centers funded by the Los Angeles County Department of Community and Senior Services (CSS), providing employment and training services to over 300 thousand residents in the southeast area, annually. In addition, Jorge was the Chief Financial Officer of the Hub Cities Career Center Corporation, a 501(c)(3) institution, maintaining systems of internal control to safeguard financial assets and managing a combined budget of over five million dollars. Jorge’s areas of expertise include budget management, cost allocation plans, grant management, and policy development and analysis. Jorge was also a committee member of the continuous quality improvement (CQI) and the California Awards Performance for Excellence (CAPE). Angela “Angie” Viteri has over 25 years of experience in Human Resources management. Prior to joining HTA, Angie was the Human Resources Manager at See’s Candy Shops, Inc. Over her 20-year tenure at See’s, she supported the Retail and Office divisions for the Southern California region and surrounding states in the areas of Employee Relations, Performance Management, Benefits and Safety. Angie joins HTA as Human Resources Director and is pleased to be a part of such a noble organization. 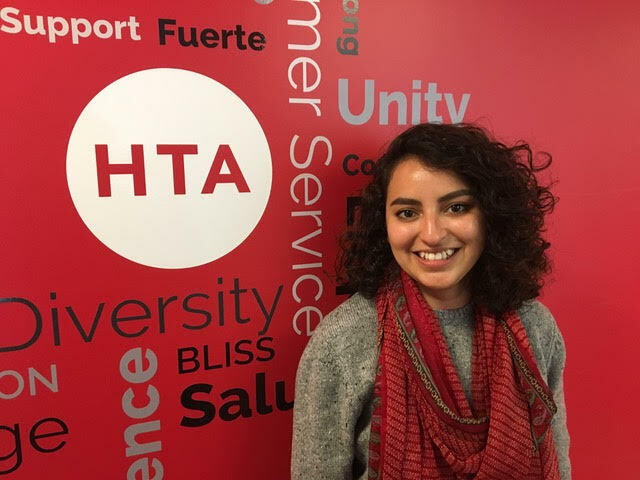 She looks forward to bringing her experience and skills to the HTA team and is motivated to learn all about the services HTA provides the community and the members of Unite Here Local 11. In the past, Angie and her husband chaired the AIDS Ministry at their church and participated as representatives for the Los Angeles Pastoral Region in the Catholic HIV/AIDS Ministry of the Archdiocese of Los Angeles providing education, resources and referrals to the community. Angie is involved in several activities at her children’s schools and more recently volunteering at Helping Hands Giving Hope. Angie is a Los Angeles native and currently resides in Long Beach with her husband and 4 children. Alexandra “Alex” Weyman comes to the Hospitality Training Academy (HTA) with a background in Social Work and the labor movement. Alex received her MSW in 2015 and graduated with a passion for policy and community work. After graduation, she worked as a research analyst for UNITE HERE Local 11, where she worked with community groups and local electeds to ensure responsible development in parts of LA County. Alex is committed to making positive change in the City of Los Angeles by helping the most vulnerable communities get access to the resources and training that they need to improve their quality of life. She is excited to bring her knowledge about the labor movement, local government and mental health services to the HTA. Alex graduated with her BA in History and Masters in Social Work from California State University, Northridge. Tracy McGee has over 15 years of experience in the Social Service field, and is currently a Project Supervisor at the HTA. Before joining the HTA team, Tracy worked as a Regional Director and Family Development Service Manager with the largest Tribal Temporary Assistance for Needy Families (TANF) program in California for nine years. While working with Tribal TANF, she worked with state and federal funds to deliver services and support assistance to thousands of families on the road to self-sufficiency. Tracy’s work experience includes employment counseling and case management services for hundreds of at-risk teens and young adults in Riverside County and surrounding areas. Tracy is passionate about helping those in need and is dedicated to working with the underserved populations of diverse cultural backgrounds. Tracy earned her Bachelors of Arts from California Baptist University, in Interdisciplinary Studies with a Concentration in Public Administration. 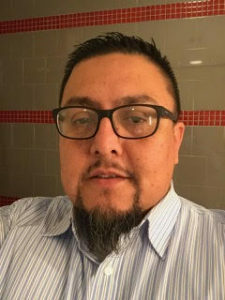 William Mendoza has over 10 years of experience working within various customer service focused positions. Prior to joining the HTA, William worked as the Customer Service Manager at Sideshow Collectibles, a manufacturer and seller of high end pop-culture collectibles. He was responsible for coordinating day to day customer facing operations and promotions. In addition, he worked closely with the Marketing and Public Relations department to ensure that their yearly presence at San Diego Comic Con was well received. William also spent three years working as a Financial Aid Officer for the Art Institute in Hollywood. Here he worked closely with both students and their parents to help them fund their education. He also developed and executed various outreach efforts to continue educating students regarding their finances and paying back their student loans. During this time William went on to complete his Master’s Degree in Business Administration from Argosy University. Eric Mills is thrilled to bring his over 10 years of experience helping students secure financial aid for their education. Relating to students and helping them gain access to programs has been the most fun and rewarding aspect of his career. Most recently, he held the position of the Financial Services Manager for a SAE Los Angeles, a campus for the recording arts. Eric coordinated the work of financial aid officers as well as providing assistance directly to students. Having experience remedying accounting and billing issues, he was assigned the leadership role of the preparation for both in-house and US Department of Education audits of multiple college campuses. Additionally, Eric has worked with both federal and state government agencies, learning firsthand the regulations and laws that dictate the administration of financial aid. Throughout his career, the detailed work of maintaining and building database systems has been gratifying because systemic efficiency in structural organization leads to increased productivity and for more opportunities for those he wishes to help—both on the job, and within the greater community. Madeleine Brand has over 17 years experience working in fund development and grant writing, successfully raising capital for Los Angeles-based non-profits from foundations, corporate and government entities alike. 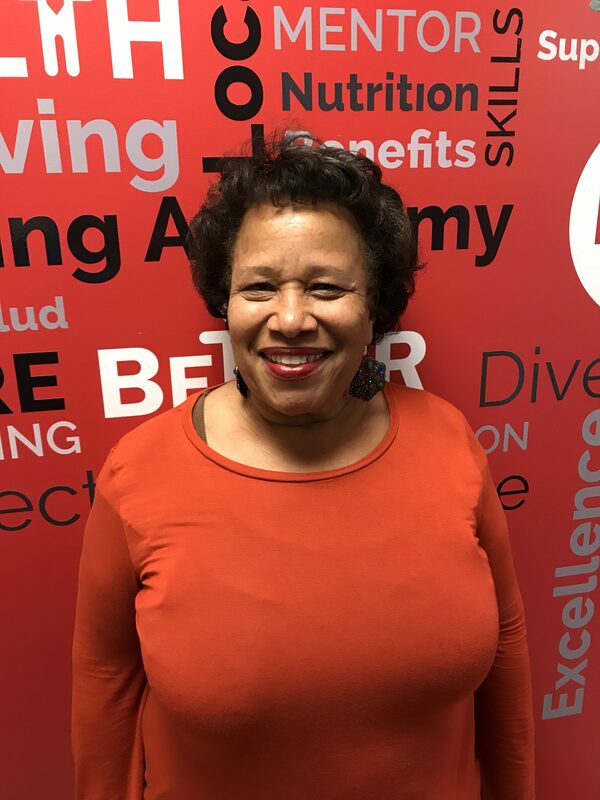 Since 2013, she has served as the Program Supervisor for the Hospitality Training Academy (HTA), working with UNITE HERE Local 11 and its employer partners (including hotels, airport concession companies, and other event venues throughout Los Angeles and Orange Counties), to provide training services to new and incumbent union members. 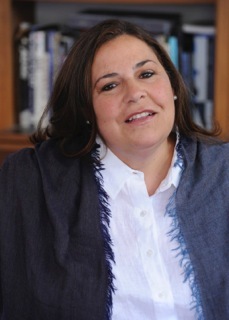 Prior to joining the HTA, Madeleine spent six years working in the workforce development sector where she served for as Special Projects Coordinator for Community Career Development and as Grants Manager for Jewish Vocational Services (JVS), growing and sustaining program funding for both organization’s City and County of Los Angeles WorkSource Centers. Madeleine also worked for KCET, the nation’s largest independent public television station, as the Associate Director of Foundation & Corporate Relations and for the Museum of Contemporary Art (MOCA), in Los Angeles, as a Development Associate prior to be promoted to the position of Grants Officer. While living in New York, Madeleine worked for a political consulting firm, raising funds and organizing special events for a number of U.S. Senators, including U.S. Senator Joseph Lieberman (CT) for whom she helped raise in excess of $2 million dollars over a four year period. Madeleine has a B.A. in Political Science from Vassar College. She moved from New York to California in 1995 and lives in Santa Monica with her husband and two children. 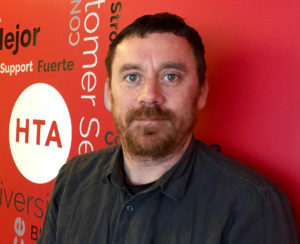 Jaime Cedano brings a lifelong passion for labor rights as well as over 20 years of professional experience to the HTA. A native of Southern California, Jaime has spent the majority of his career working in customer service in the Inland Empire. Most recently, Jaime worked for a Walmart/Sams Club retail store as a Fresh Managing Supervisor, where he helped implement and promote marketing programs and strategies. He also created and facilitated customer service trainings for Walmart/Sams Club staff. This experience along with his knowledge of the labor movement and roots in the community drive his work as a Bilingual Case Manager. Jaime graduated from Arizona State with a Bachelors Degree in Business. Walleska Barreto has over 15 years of experience in the hospitality industry. She has a BA in Hotel and Restaurant Management with a minor in Marketing from the University of Puerto Rico. Walleska has worked for Puerto Rico’s Tourism Company, Radisson Hotels, IHP Hospitality, Walt Disney World, Starwood and, UCLA’s Family Housing in a variety of roles including Island Ambassador, Human Resources, General Manager, Property Manager and Student Affairs Coordinator. From a young age, she led multiple civic initiatives and fundraisers to assist local non-profits. She thrives by connecting with others and is passionate advocate for social justice. She was born and raised in the west coast of Puerto Rico, moving to Los Angeles in 2007. She is happily married to her high school sweetheart and is the proud parent of two soft and furry cats. Monica is a Case Manager at the HTA. 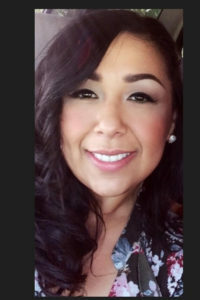 A native of Southern California, Monica attended United Education Institute, where she earned her Dental Assistant Certificate and graduated as a class Ambassador. It was during this time that she truly developed her passion for working with people. Wanting to make a difference in people’s lives and knowing that there was more she could do to help those in need within her community, Monica shifted her focus and embarked on a career in workforce development. Joining the teams of such well-established Los Angeles County WorkSource Centers as ResCare in Canoga Park and Boyle Heights, South Central Los Angeles Regional Center (SCLARC), and Korean Churches Community Development (KCCD), Monica, honed her client service skills, delivering high-quality workforce development services to a diverse client base. Handling everything from records management to conducting eligibility and assessment workshops to helping with job recruitments and hiring events to connecting both Adult and Dislocated Worker participants to case management and program services, Monica takes great pride in her work. 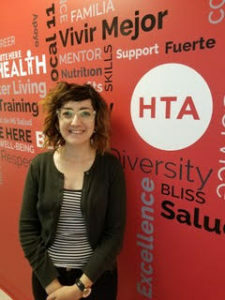 In her new role at the HTA, Monica is excited to be able to continue to learn and grow while putting her passion for helping people into action – helping those struggling in our community to launch a career in hospitality and access the kinds of resources and support that will need to attain economic self-sufficiency. 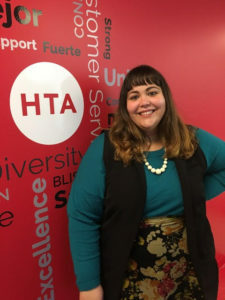 Cassandra Espinoza brings her zeal for helping people to the HTA with over 15 years of experience in commitment to customer care, problem solving, and resolution. In her previous role, she worked in the background screening industry with a large client base, and closely with applicants from various diverse backgrounds where she learned the importance of proper research, and interviewing skills needed to provide high quality results that helped to get the applicants hired. 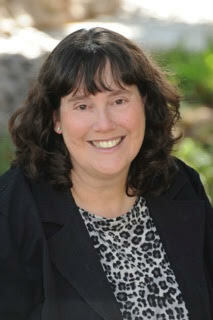 She brings her experience in client managing, dedication, and passion in helping others to the HTA. She earned her B.S. degree in Business Administration from the University of Phoenix. Dafne Jacobs is originally from Guatemala and spent 11 years living in Florida, where she earned a Bachelor’s degree in Mathematics from the University of Florida. 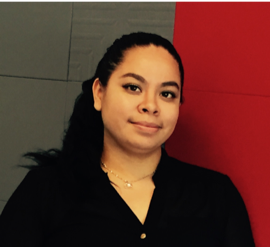 As a DACA recipient, Dafne experienced first-hand the importance of mentors and leaders who continue to guide and support her in her professional journey. She began her work in social justice at the University of Florida as president of CHISPAS, a student-led immigrant rights organization. In that role, she helped establish and implement opportunities and resources for undocumented students at the University. Following graduation, she moved across the country to work as a Researcher at UNITE HERE Local 11 in Los Angeles, where she analyzed and profiled private and public companies. One of her most memorable experiences at Local 11 is when she helped organize and coordinate logistics for a large scale Get Out The Vote campaign with volunteer high school students during the 2016 presidential elections in Phoenix, AZ. She is excited to bring together her analytical education and her passion for social justice as a Case Manager at the HTA. Karen Mitchell is a Case Manager at HTA. Her first interaction with youth began when she volunteered to recruit youth for OneLA, and introduce participants to opportunities available in the Healthcare field. This opportunity opened her eyes to the non-profit world. She was later hired by PVJOBS and has worked on two programs dedicated to helping troubled youth. Utilizing motivational interviewing techniques, she assessed her participants to help them achieve their goals of receiving their high school diplomas/GED, receive job training skills and reduce recidivism. A native to South California, Karen enjoys interacting with the diverse cultural population in Los Angeles. Always open to learning, she is continually enhancing and utilizing her Spanish speaking skills. Karen’s background is in telecommunications with AT&T, where she worked in the Global Markets, Business and Residential departments as a Customer Service Representative for 20+ years. She received her B.S. degree in Business Administration from the University of Redlands.